Do the Muslims know that he was the commander who defeated them? 3. Knowing that he is the one who defeated them and he was treated with respect, was there a raid of Malik Kafur on Warangal? Or is it a sham paid for by Prataparudra to weaken the Pandyans and the Hoyasalas? Note that only two battles happened, one at Sirpur and the other at Warangal. No observable engagements happened in the ensuing period. 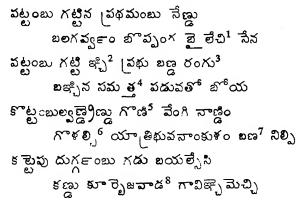 It is interesting to note that, just after the raid, both the Hoyasalas and the Pandyans are trashed by the Kakatiya armies outside Kanchipuram, is this something planned by Prataparudra to remind the Khiljis of what the actual meaning of the money is? Or are we overhyping Maili? 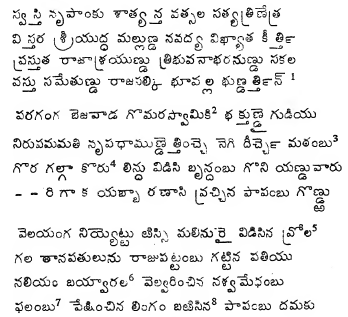 There is an interesting anecdote of him, in Chatupadyamanimanjari though regarding his visit to Delhi. It seems that he is a known champion in fencing and a competition was arranged in Delhi with Ala-ud-din Khilji and Malik Nemar staying as the judges. 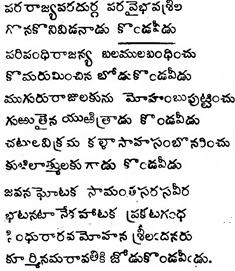 Was it an open competition involving the high or mighty, but the fact is that Maili defeated Telugu Bijjala in the final. 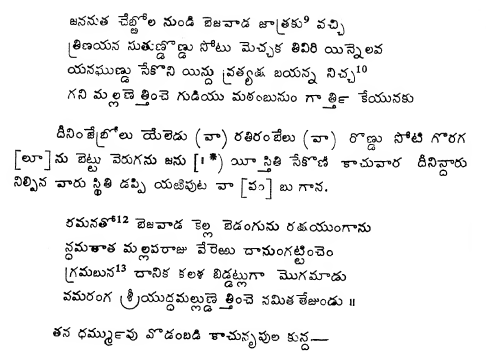 Meaning: In the presence of the Emperor Alla-ud-din, Malik Nemar and the 77 Nayaks in the famed Dakhol, Potuganti Maili defeated the king Telugu Bijjala. 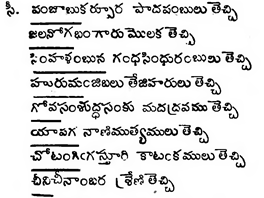 Note the use of word king(from the solar dynasty) for Telugu Bijjala. 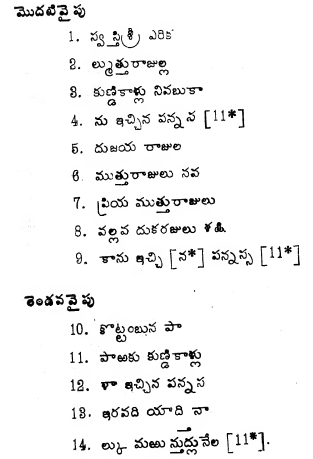 Does that mean he is a hereditary noble or from a subdued kingdom, while Maili is a first or second generation field commander(Padmanayaka/Reddy)?